This was another prompt from the Expat Blog Challenge, and at first it looked like a really straightforward one. But as I thought about it, I realised it was a bit more ambiguous than at first glance: was it asking for an object that reminds me of home, reminds me of the place I came from, or should I find an object that makes me feel like this is my home? It makes me really think about the concept of ‘home’. Is home a place? Is it a feeling, a memory? People and relationships? Can we only have one home? I think it’s all of those things and a lot more. If someone calls me and I’m in my apartment, I’ll say I’m ‘at home’. When I leave work for the day I’m ‘going home’. But I’ll relay memories of my childhood by saying ‘when I lived at home’, and I’ll talk about England using the word ‘home’. I’m reminded of the phrases ‘home is where the heart is’ and ‘wherever I lay my hat is home’, and although they may seem contradictory, I think they’re both very true. So I took on the challenge, and went in search of objects that made me think home. We Brits have a reputation for drinking tea. And lots of tea. Tea for all occasions. Tea is the English equivalent of champagne, or something like that. Anyway, true to our reputation, I like tea and I drink a fair bit of it. This is my box of one hundred Yorkshire Tea teabags. Here’s the irony: in England I would never buy Yorkshire Tea. In England I only ever buy Tetley’s. Even as a student I would splurge on tea, buying only Tetley’s (quite the opposite of a prospective romantic partner I once had: all thought of romance was lost when I discovered he bought Asda Smart Price teabags, and dried them out on the radiator so he could re-use them!). 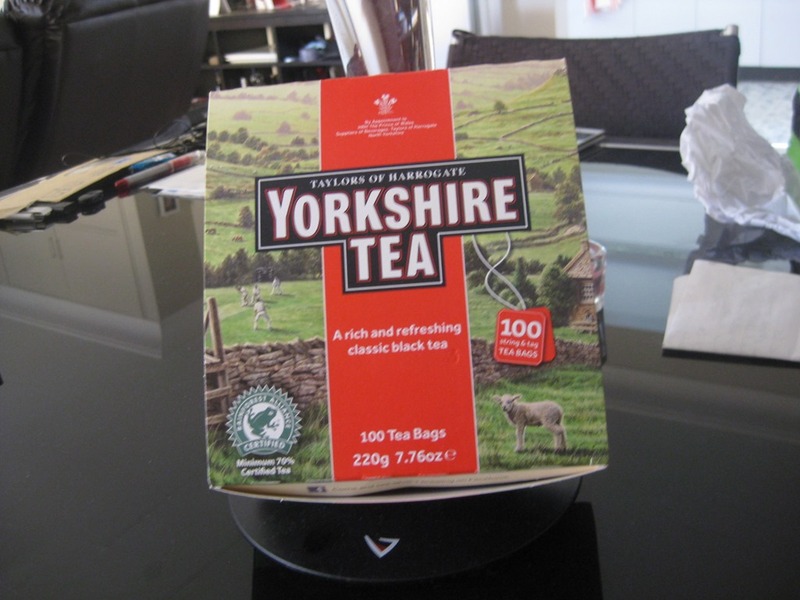 But in Sydney, I buy Yorkshire Tea. I don’t know if it’s to assert my Yorkshire-ness, or because the word ‘Yorkshire’ invokes homely emotions, or simply because I’m amazed it is available, but in Sydney I most definitely buy Yorkshire tea. My one gripe is that it comes in boxes of 50, 100 or 150, when we all know that teabags come in multiples of eighty. I even had that dilemma in the supermarket the first time, with the thought “but what if you only want eighty”. I suppose I’ll always be English! If you have read my blog or have ever got into any serious conversation with me, you’ll know I have something of a fetish for washing machines. 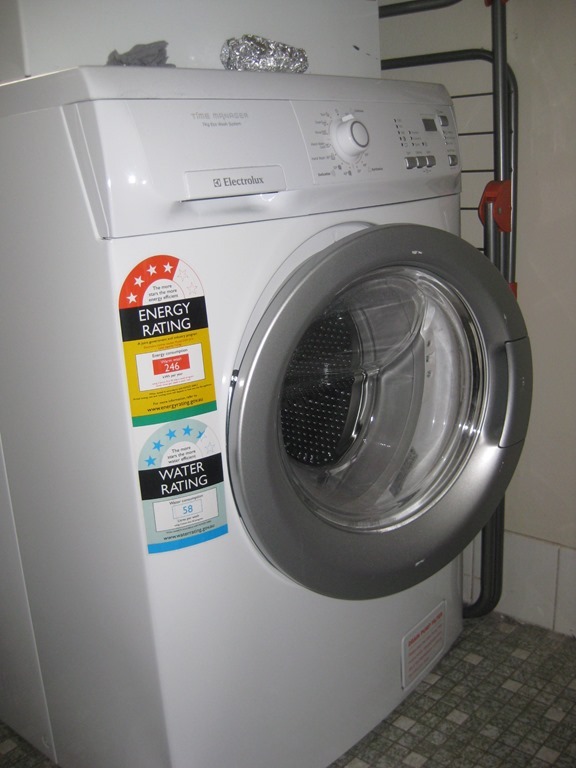 Indeed, I wrote a (rather lengthy) discussion on the status of washing machines in Australia, so I will try to be brief here, but in case you didn’t read it (and I can’t imagine why you would miss such scintillating writing), the norm in Australia, in terms of washing machines, is top loaders. I am very clear about my dislike of top loaders, so when it came to purchasing a washing machine when we first moved into this unit, I was very clear that we absolutely had to have a front loader: no questions, no discussion, it simply had to be a front loader. And this is it. It’s actually a pretty good model and we paid a fair amount of money for it, but the point is it makes me feel at home, and for a couple of reasons. First off, it’s ours. I spend years and years living in rented accommodation that came, as standard, with a washing machine (and usually a crap one). The unit we live in now is still rented, but the washer is ours, and my bizarre fetish kicks in when I see it and feel a flash of pride about actually owning a washer. Secondly, it’s that English thing again. It doesn’t quite fit in with the Australian way of life. I’m not saying it’s totally wrong, but it’s not totally right either. It’s a bit of a curiosity, and again, that white box with a round hole in the front is definitely me asserting my Englishness. I’m fairly sure Scot is driven to insanity by the range of kitchen utensils that I “absolutely have to have”, and these two – the mini whisk and the can drainer – are probably top of the list. To most people I’m sure they seem ridiculous, but to me they are a necessity. In terms of homeliness though, these also belong very firmly in my mother’s kitchen. My mother’s kitchen is full – and I mean full – of all and any utensil imaginable. The mini whisk is positively softcore compared with her avocado slice/scoop thing and the curious ceramic ‘hands’ whose function (and only function I think) is for picking up spaghetti. 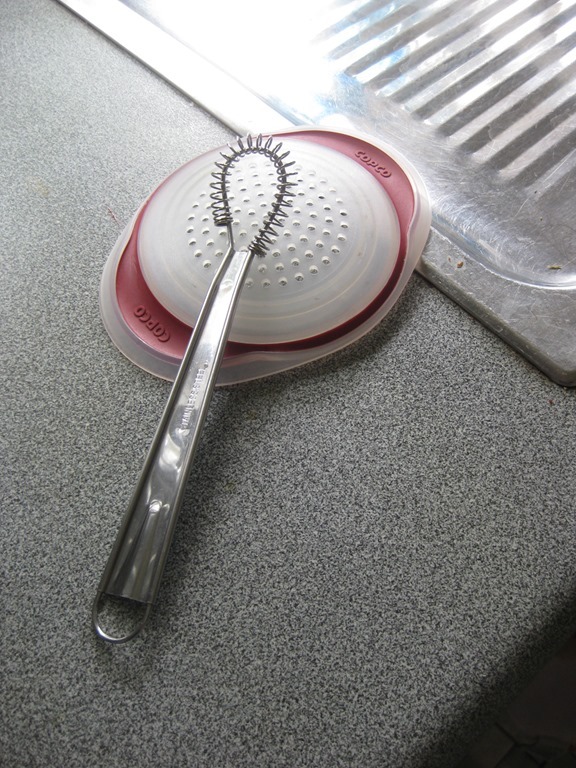 But the mini whisk just reminds me of something that one absolutely has to have in the home kitchen. The can drainer is also a reminder of home – again I think the only other place I have ever seen one is at Mum & Dad’s house. I think Scot’s comment of “why can’t you just use a sieve like normal people” sums up the reason for this, but for me this is an item I have to have in any home that is mine. I don’t wear a lot of jewellery, but these two were gifts from family, and both for my 18th birthday. 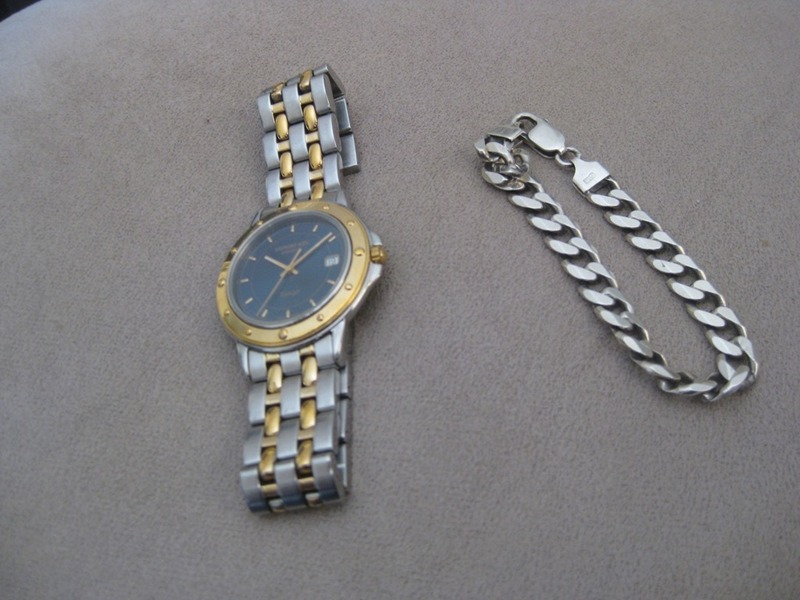 The left is my Raymond Weil watch in white, yellow and red gold from Mum & Dad, and the right is a silver bracelet from my sister. Sadly my body has grown a little in size in the last twelve years, and the watch no longer fits around my wrist, but the bracelet still does and I wear it pretty much every day. It’s a bit tarnished because I don’t take it off to shower or sleep, and it’s taken a bit of a bashing over the years. As I mentioned at the start, home isn’t necessarily just a place – home is people and family, so I don’t love these pieces of jewellery superficially and just because they’re shiny, but because they are connected with family, and they remind me very much of home. These shoes saved my life. I bought these shoes from Shelly’s in Oxford Circus (London) in April 2003, and I fell in love with them the moment I saw them. They are now battered up, scuffed, worn, with the soles hanging off, but I am still very much in love with these shoes. In 2003 I wore them with everything, regardless of whether or not they actually matched the outfit. My housemate (and best friend) hated them and referred to them as “the baby booties”. I didn’t care – my feet belonged in them. I had a strong relationship with these shoes, and on one occasion, I remember (or at least was told about) sitting on the footpath outside The Cockpit nightclub in Leeds, very drunk and having a deep conversation with these shoes. My feet still belong in these shoes. Whenever I put them on, every memory of ever having worn them floods back – from the night out we had the day I bought them, limping back to the hostel eating chips and doughnuts, to the last time I wore them – the other week in Sydney. 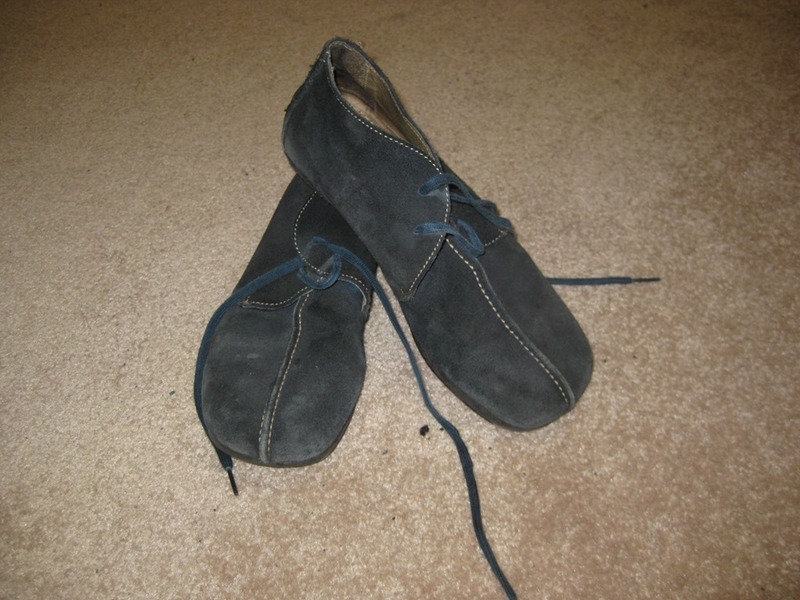 When I was packing to move here, I had to make tough decisions about what to keep and what was destined for the charity shop or the bin, and there was definite downsizing involved in the shoe department, but there was never a question about these shoes. As far as my feet are concerned, these shoes are home. God, I hated this picture at first, and for a long time. It used to hang on the wall above the TV in the back room at Scot’s Mum’s, which was our hanging-out room when we lived there. I hated it from the moment I saw it, and I spent many months wanting to rip it from the wall and do bad things to it. Things have changed now though. After having spent months – well, years – looking at it, I like it a lot. And not just in an “it’s grown on me” way; I like the content. I love the image, and I love the message it sends. But more importantly, at least for the purpose of this post, is that it makes me feel at home. 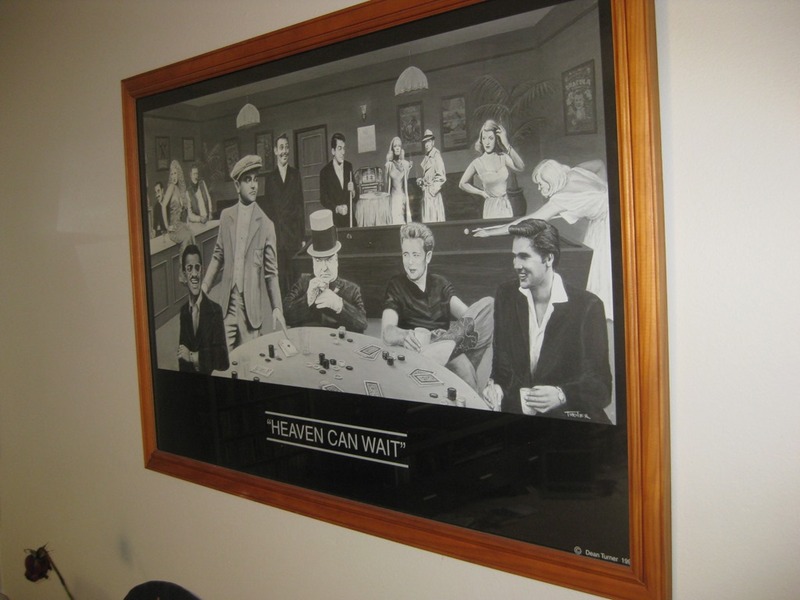 This picture now hangs on the wall in our lounge room, and I absolutely love it. It’s also a reminder that home is as much the place I am accepted and loved, as it is the place I live. This entry was posted in Homesickness, Thoughts and tagged England, expat, family, home, Sydney, tea, yorkshire. Bookmark the permalink. Reblogged this on John Avocado. Flippin’ ‘eck! It’s Pancake Day! Six Months in Sydney by John Clark is licensed under a Creative Commons Attribution-ShareAlike 3.0 Unported License.